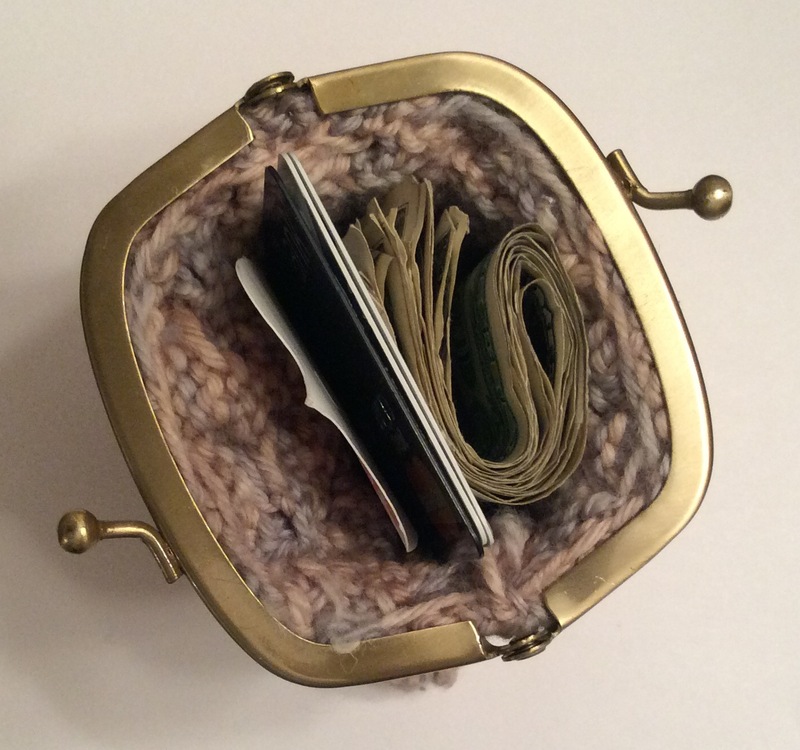 I fell in love with a little coin purse I spotted on Craftsy. I had a little left over Art Yarns yarn and decided it was the perfect morning commute project. 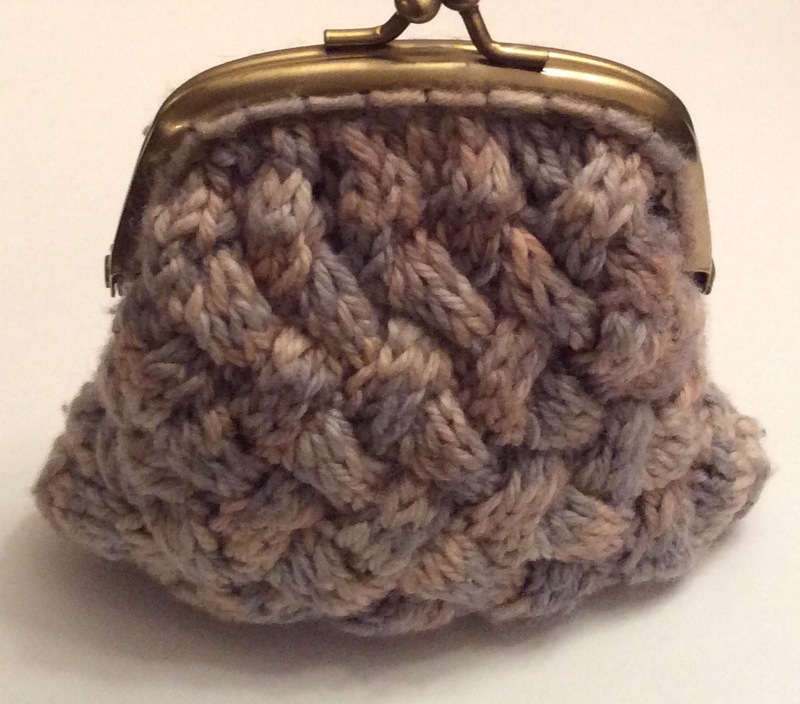 I really enjoyed knitting the basket weave cable in the round and the coin purse closure was easy to sew on with a small tapestry needle. I have to admit, I liked this coin purse so much, I started using it, immediately. It’s already gotten a little worn in. Perfect!